by Telecom Association (“TA”), an organization of 3,800 independent telecom agents, channel sales partners, office technology integrators and telecom equipment VARs founded in 1995 and the publisher of Business Phone News. Nominations are based on 2011 retail sales growth and positive customer testimonials. Peer recommendations, industry awards and subject matter expert publications are also considered. Stated Dan Baldwin, TA Executive Director, “Our 2011 Choice Awards recognize the best voice and data business consultants and telecom service vendors in the industry. 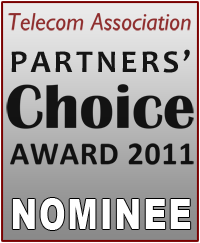 Network Intelligence’s 2011 nomination reflects their 2011 sales success, their reputation for outstanding customer service and high regard by their customers, peers and partners within Telecom Association’s 3,800 professional members. 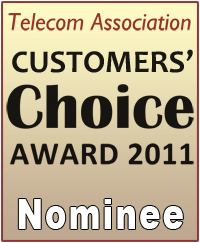 The winners and runners up for all 2011 Customers’ Choice Awards in all categories will be announced in 2012 and published at Business Phone News. 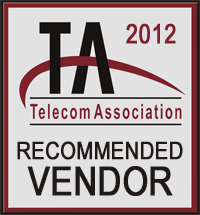 This entry was posted in Awards, News, Press Releases and tagged Awards, Customer's Choice, Partner's Choice, Reccomended Vendor, Telecom Association by admin. Bookmark the permalink.